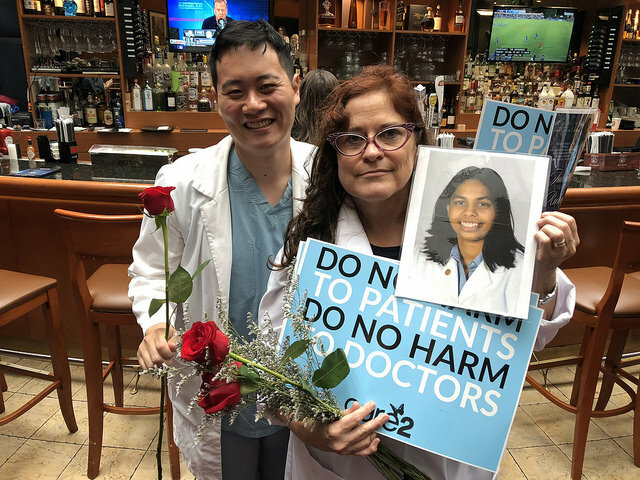 In recognition of National Suicide Prevention Week, physicians clad in white coats held roses and pictures of departed colleagues who battled mental illnesses. 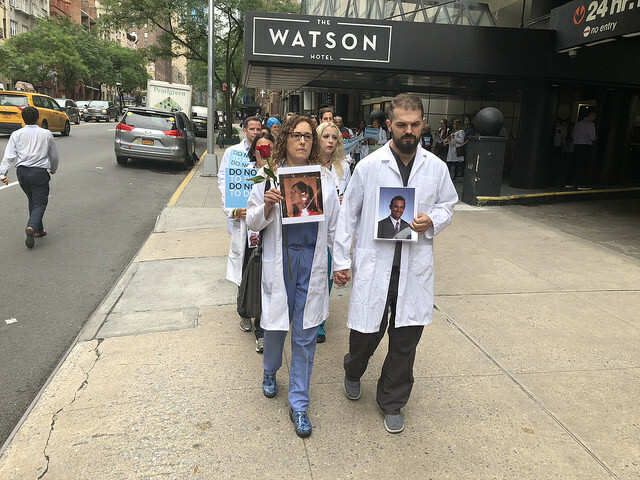 They marched silently yesterday, past Mount Sinai West Hospital in Midtown to a spot just blocks away from the hospital where one of their own tragically ended her life. 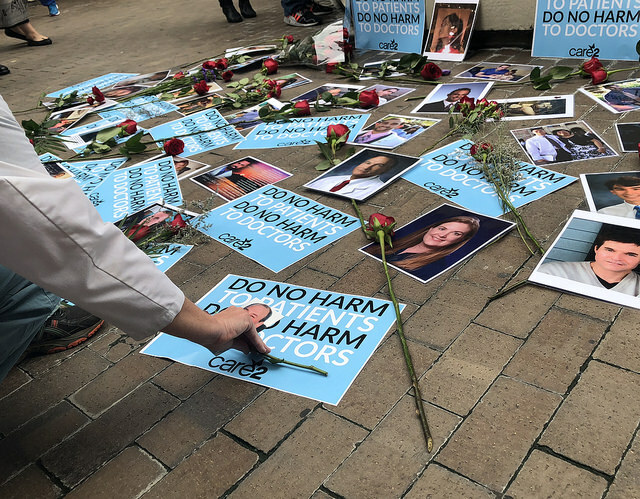 Members of the group who came from across the country also held signs that read “Do No Harm to Patients, Do No Harm to Doctors.” “Do no harm” is significant to a doctor, as it is part of the Hippocratic oath to protect those they serve. 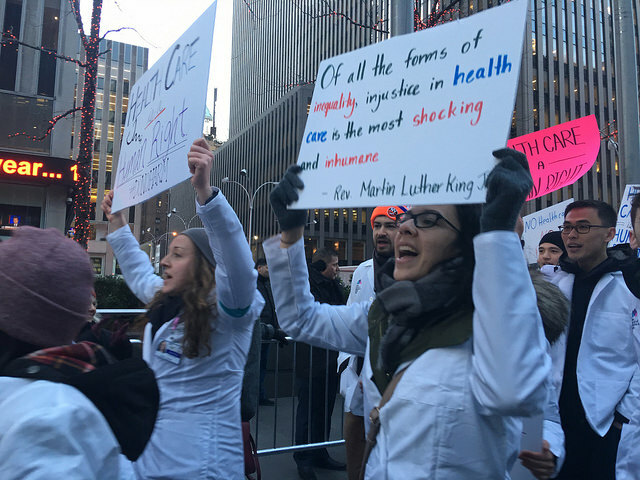 These doctors said they want the same pledge to be extended to them. The high rates of doctor suicide they believe are increasing because hospital systems severely overwork their physicians, which lead to medical errors, and there is no outlet to release stress. Doctors are fearful to go to their bosses with their issues because it makes them look unfit to perform. According to Dr. Deepika Tanwar of the Harlem Hospital Center who has studied physician suicides over the past 10 years, 300 to 400 doctors a year take their lives, which is higher than the suicide rate of the general population. Dr. John Danyi of Virginia attempted suicide over a year ago. 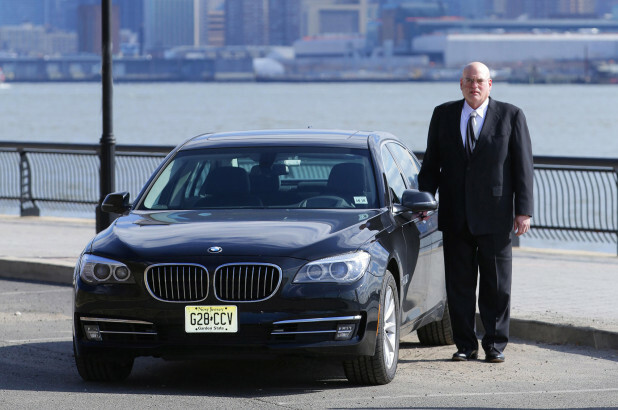 He said that he had no way or time to get his frustrations out. Danyi added that since his attempt to take his life he has not been able to return to practicing medicine. According to the American Foundation for Suicide Prevention, factors that drive doctors to suicide are workload, work inefficiency, lack of autonomy and meaning in work, and work-home conflict. Dr. Pamela Wible of Eugene, Oregon, who organized the event, said she has been speaking with her peers about their issues for six years. 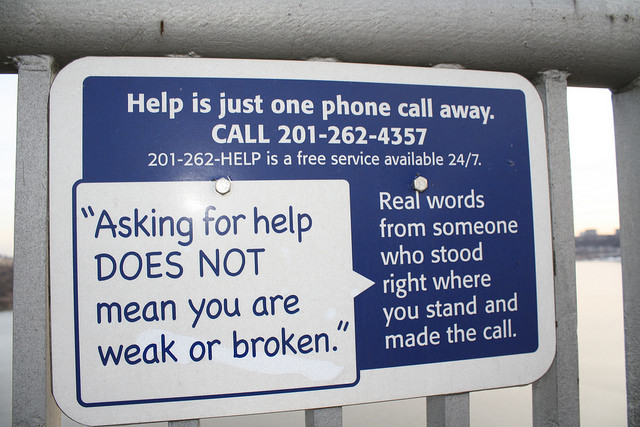 She set up an anonymous hotline and has collected 1,000 accounts of doctor suicides. The problems faced by these doctors start at times when they are in medical school. Danny Lee, 27, a medical student at Virginia Commonwealth University, said that a recent survey in his class of 200 revealed about 10 percent were suicidal. Wible wants patients to also try to understand that as much as society views doctors as superhumans, they are simply humans underneath.